Michigan’s new minimum wage and paid sick leave laws are to take effect on Friday. But legal battles over Republican changes to the law may extend for months or even years. Michigan’s minimum wage will rise to $9.45 per hour on Friday, the same day new state requirements for employers to offer paid sick leave also take effect. Yet as the new, if scaled back, laws that raise the minimum wage and require paid sick time take effect this week, it’s still unclear if they’re constitutional. Democratic Attorney General Dana Nessel and the Michigan Supreme Court are mulling whether to weigh in with opinions addressing two unresolved questions — whether the laws themselves are legal, and whether the Legislature can, under the state constitution, adopt citizen-initiated legislation and later change it during the same legislative term, as the Republican-majority Legislature did with both laws last year. Neither Nessel’s office nor the court has said when it will decide whether to release an opinion. But legislators from both parties, who requested the opinions, and employer groups have asked for clarity on the issue sooner rather than later. “We are telling (our members) there are these two pending decisions and that we’ll communicate as soon as we learn anything different,” said Wendy Block, vice president of business advocacy for the Michigan Chamber of Commerce, which supports the Legislature’s last-minute changes to both laws in December’s lame-duck session. The Michigan Department of Licensing and Regulatory Affairs, which will be tasked with enforcing both laws, has posted frequently asked questions about the paid sick leave law on its website, along with information about the upcoming minimum wage increase. The controversy around these issues has not waned even three months after outgoing GOP Gov. Rick Snyder signed them into law in the final days of his administration. Two ballot committees, Michigan One Fair Wage and MI Time to Care, last summer earned enough signatures from registered Michigan voters to get their proposals to raise the state’s minimum wage and require paid sick leave, respectively, onto the November 2018 ballot. Michigan’s constitution, however, allows the Legislature to adopt citizen-initiated laws before they go to voters. And Republican lawmakers, who adamantly opposed both measures, saw an opening: They would approve the laws with an eye toward neutering them later. So in September, the GOP-controlled House and Senate voted along mostly party lines to adopt the proposals to raise Michigan’s minimum wage to $12 an hour by 2022 and require employers to offer 72 hours of paid sick leave. Then, in a contentious lame-duck move, they weakened the strongest provisions before the two-year legislative term ended in December. In signing the bills, Snyder said he believed the original citizen-drafted laws would have been a roadblock in Michigan’s ongoing economic recovery. Now, Michigan’s minimum wage now will not reach $12 (actually, $12.05) until 2030, eight years later than the original timetable. And employers will be required to offer 40 hours of sick leave, instead of 72. Businesses with fewer than 50 employees will be exempt from the sick leave law under the lame-duck changes. 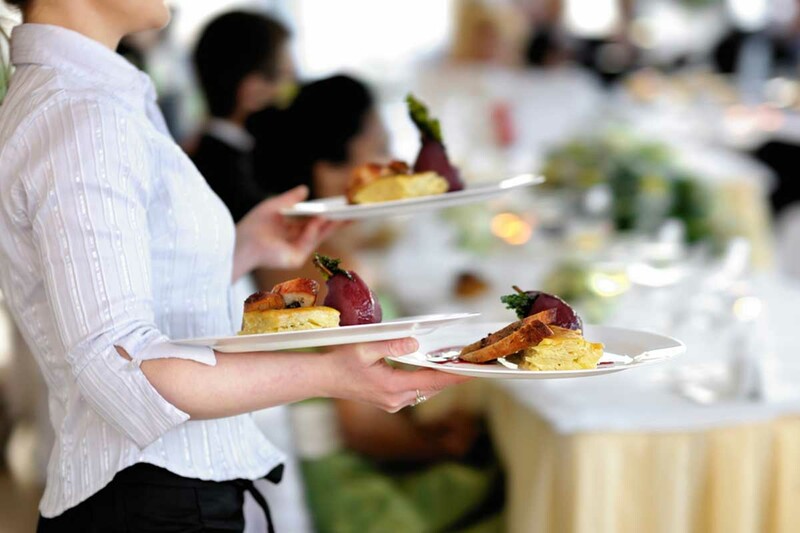 The Legislature also kept a lower minimum wage for employees who receive tips as part of their job, such as restaurant servers. One Fair Wage’s proposal would have phased that distinction out until all minimum-wage workers earned the same hourly rate. Republican legislators have said they are confident their lame-duck maneuvering is on solid legal ground, and in February asked the Michigan Supreme Court to issue an advisory opinion to resolve the remaining uncertainty. Business groups say the laws as originally written would have been onerous and made compliance difficult. Backers of the ballot initiatives and Democratic lawmakers, meanwhile, say the Legislature’s revisions circumvented the will of hundreds of thousands of Michigan voters who wanted the chance to vote on the more-generous minimum wage and sick leave proposals as written. State Sen. Stephanie Chang, D-Detroit, asked Nessel’s office to issue an opinion on the constitutionality of the Legislature’s actions, while the committee behind the paid sick leave drive has signaled it may try again for the November 2020 ballot. “I would like whatever (option) means that we could have democracy upheld, and the will of the people,” said Danielle Atkinson, co-chairwoman of the MI Time to Care ballot committee, who added she was pleased Nessel’s office has said it would review Chang’s opinion request. Nessel’s opinion, if she issues one, would follow contradictory opinions from two past attorneys general on the Legislature’s ability to adopt and later revise citizen initiatives. The first such opinion, from Democratic Attorney General Frank Kelley in 1964, advised that the Legislature can’t adopt and amend citizen initiatives in the same legislative term in which they were passed. The second, from Republican Attorney General Bill Schuette in December, argues that nothing in the state constitution prevents the Legislature from doing so. Schuette’s opinion on the issue argued that it supersedes Kelley’s “to the extent it opined to the contrary.” Courts generally have found Attorney General opinions to be binding on state agencies. Kelly Rossman-McKinney, a spokeswoman for Nessel, told Bridge that an opinion is not expected before the law takes effect this week. The request is still under review, she said, and the attorney general is waiting to see if the Supreme Court will weigh in. “As such, this status is akin to pending litigation — and the AG has traditionally refrained from opining on matters that are the subject of pending litigation,” Rossman-McKinney said in a statement. It’s unclear whether the state Supreme Court will even issue an opinion. A rarely used provision of the Michigan constitution allows the legislature and governor to ask the state’s high court for an opinion on whether a law that has been enacted is constitutional, before it takes effect. The Supreme Court can choose not to issue such an opinion. In at least the last decade, more requests for Supreme Court advisory opinions were rejected than granted, court spokesman John Nevin told Bridge last month. The last time the court granted a request was eight years ago, in response to Snyder’s inquiry about the constitutionality of a new tax on some retirement income. Past Supreme Court opinions have noted that its advisory opinions don’t set precedent the same way as an opinion issued through the traditional litigation process, according to opinions cited by Nevin, the court spokesman. It’s possible the minimum wage and paid sick leave laws could wind up challenged in court, particularly if the Supreme Court decides not to write an advisory opinion. In court, “the Attorney General’s opinion (has) persuasive value, meaning that a court will look at it,” Friedman said. That said, he added, “you would pay much more attention” to the Supreme Court’s advisory opinion. And don't be too surprised when you see a rise in automation when you go out for your next meal. Self-serve kiosks and robotic "chefs" are already being brought online. What will AG Nessel and the puppeteers behind Michigan One Fair Wage and MI Time to Care do when that occurs? I doubt that winning the battle only to lose the war was their endgame. Only under capitalism would we see the automation of tedious and menial jobs as a bad thing. Those are entry-level, foot-in-the-door jobs, for people to acquire employment skills so that they can move up the employment ladder. They are not, nor ever were, meant to be a full-time career by any stretch of the imagination. Which is exactly why I refuse to go through the self checkout at grocery stores. I don’t work for the grocery store and I’m not about to take someone’s job by using one of those things. Change is not a bad thing either, we are suppose to evolve and change as time goes by. Adapt to different environments. If that is the change you see, I’m sure other opportunities will arise that will give society what it needs. Good thinking! I'm always amazed when I frequently visit Oregon ( a true lefty paradise!) and their law outlawing self service gas pumps. I've been told it preserves those much sought after pump attendant jobs. Maybe Michigan with our new Gov can do one better and outlaw people mowing their own lawns creating new jobs and reducing environmental damages? The Michigan GOP is pretty obvious about who they favor: the wealthy, the corporations with their willingness to gut anything and everything that might, just might, help out the Michigan middle class. Then again who contributes the most 'campaign contributions' to the GOP? Bingo. Votes don't matter - campaign contributions (aka legal bribes) do - until we decide enough is enough and vote with our interests. Yep people of the low end of the skill curve, young and inexperienced be damned, you don't need no stinking jobs! .... Maybe because a good waiter is disappointed when they don't take home $20 per hour or more? At what point did Republicans totally abandon their long held view that constitutions, laws and the will of the people should be sacrosanct . The citizens of Michigan spoke loud and clear on both of these issues and yet the Republican legislature found it okay to overrule the will of the people in the dark of the night in a lame duck session. Can you imagine the hue and cry from Republicans and the Chamber of Commerce if a citizen initiative was passed that cut business taxes but a Democratic legislature decided to reduce the tax cut. You are very much mixing things up. The US Constitution isn't really that into going with the straight out "will of the people". The founders were well aware of the proclivity of "the people" to give away and receive stuff at the expense of someone else. So they did things to filter it through it through elected leaders hoping for a little more educated opinion. Writers of Michigan's constitution weren't quite so wise.